Fans around the world adore the bestselling No. 1 Ladies' Detective Agency series, the basis of the HBO TV show, and its proprietor Precious Ramotswe, Botswana's premier lady detective. 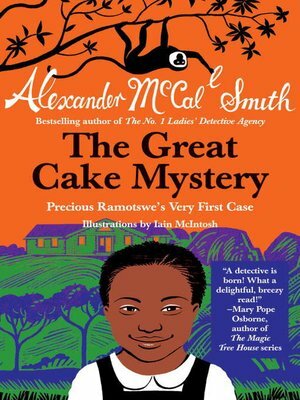 In this charming series, Mma Ramotswe navigates her cases and her personal life with wisdom, and good humor—not to mention help from her loyal assistant, Grace Makutsi, and the occasional cup of tea. Have you ever said to yourself, Wouldn't it be nice to be a detective? This is the story of an African girl who says just that. Her name is Precious. When a piece of cake goes missing from her classroom, a traditionally built young boy is tagged as the culprit. Precious, however, is not convinced. She sets out to find the real thief. Along the way she learns that your first guess isn't always right. She also learns how to be a detective.